Why does this release matter to me? When will this update and outage occur? This update will occur on August 2nd, 2017 between 6:30 AM EST and 8:30 AM EST. During this period, the Relyence Cloud-Hosted Solution will be unavailable. How are Part Types and Subtypes changing? Please view this document on how specific parts are now organized. 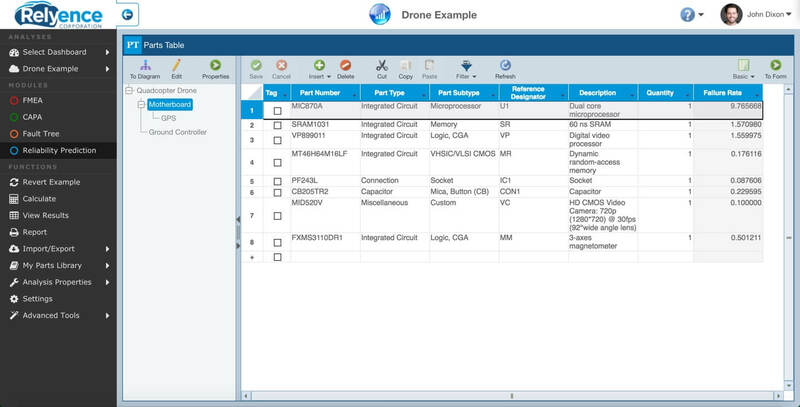 Any existing parts in your analyses will be automatically migrated to this new organization. 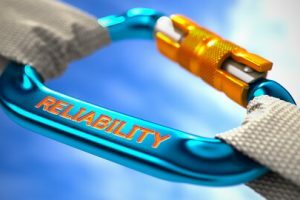 What new features will be added to Relyence Reliability Prediction? What is MIL-HDBK-217F Notice 2 Parts Count? 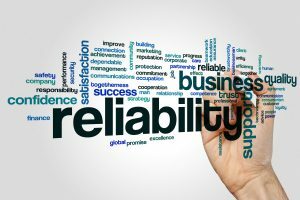 This is a new Reliability Prediction Calculation Model that is beneficial in the early stages of product development when details about specific parts are not yet known. This calculation model simplifies the inputs to our existing MIL-HDBK-217F Notice 2 implementation in order to allow you to quickly calculate Failure Rate/MTBF values that can be further refined over time. We have developed our MIL-HDBK-217F Notice 2 Parts Count calculation model to work hand-in-hand with our existing MIL-HDBK-217F Notice 2 calculation model. 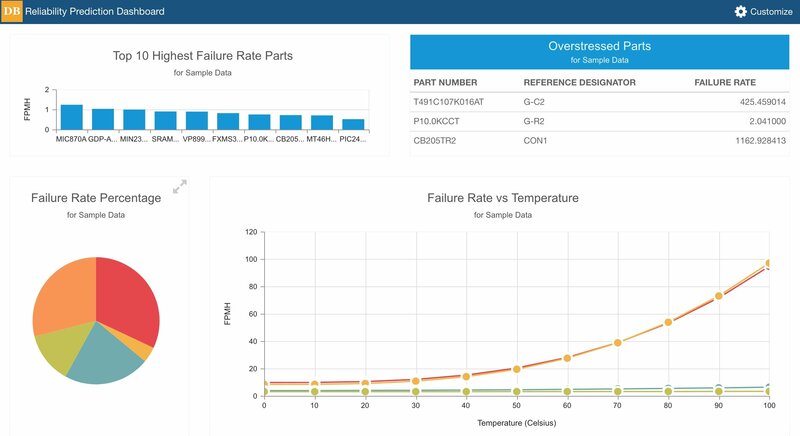 Start with MIL-HDBK-217F Notice 2 Parts Count to calculate baseline Failure Rate/MTBF values and then switch to MIL-HDBK-217F Notice 2 at a later stage in your design cycle when more detailed information is known about your product. All inputs from MIL-HDBK-217F Notice 2 Parts Count will be transferred to MIL-HDBK-217F Notice 2 for you. If you have our Reliability Prediction product today, you will receive MIL-HDBK-217F Notice 2 Parts Count at no additional charge! What is Telcordia Issue 4? Telcordia Issue 4 is an excellent companion or replacement to MIL-HDBK-217F Notice 2 depending on your specific needs and requirements. What is China’s GJB/z 299C? China’s GJB/z 299C is a Reliability Prediction Calculation Model that calculates the Failure Rate and MTBF for electronic components similar to MIL-HDBK-217F Notice 2. It includes a large number of modeled components similar to the components modeled by both MIL-HDBK-217F Notice 2 and Telcordia Issue 4. Typically, purchasing this calculation model is only required if calculating Failure Rate and MTBF based on the China’s GJB/z 299C standard is specifically requested for a certain application. How do I purchase Telcordia Issue 4, China’s GJB/z 299C, or exchange my MIL-HDBK-217F Notice 2 license? To purchase Telcordia Issue 4, China’s GJB/z 299C, or exchange your MIL-HDBK-217F Notice 2 license, please contact your sales representative, email info@relyence.com, or call 724-832-1900. I’m a Relyence Cloud-Hosted Solution user, so when will I receive these changes? Our Relyence Cloud-Hosted Solution will be automatically upgraded and include these changes on August 2nd, 2017. There is no action required to receive these changes. All data migrations will be automatically handled for you. I’m a Relyence On-Premise Solution user, so when will I be able to upgrade my existing installation? An upgrade to your existing Relyence Reliability Prediction on-premise solution will be available on August 7th, 2017. If you have a valid Maintenance & Upgrades package with us, you are entitled to receive this upgrade if you desire. If you do not have a valid Maintenance & Upgrades package with us, you can purchase this upgrade. To discuss upgrading your current installation, purchasing an upgrade, purchasing Telcordia Issue 4 or Chinese GJB/z 299C licenses, or exchanging your MIL-HDBK-217F Notice 2 license, please contact your sales representative, email info@relyence.com, or call us at 724-832-1900. Please contact us, email info@relyence.com, or call us at 724-832-1900 with any additional questions. If you would like to keep in touch and receive news and information about Relyence and reliability topics, please connect with us on your preferred social media platforms.